Fairy houses are built from stones, twigs, and other elements from nature. By now, you’ve likely seen (or heard about) the roving gangs of Pokemon trainers wandering through nature with their phones outstretched, capturing Pikachu next to bus stops and searching for the elusive Mew. Pokemon Go is a huge phenomenon, and it can also be a huge inspiration for your next kid-friendly crafting project: Pokemon gym fairy houses. Fairy houses are small abodes that are built with materials from nature. They can decorate your garden, your patio, or even serve as nightlights, and we love them for one simple reason: they’re easy to turn into an eco-friendly lesson in upcycling! Just by painting a Pokeball or the word “Gym” on your fairy house, you can create a miniature version of the battle arenas from the Pokemon games, movies, and TV show. If you want to share your love of Pokemon, or if you want to give your kid a Pokemon-themed break from their phone, be the very best by customizing these fairy houses! 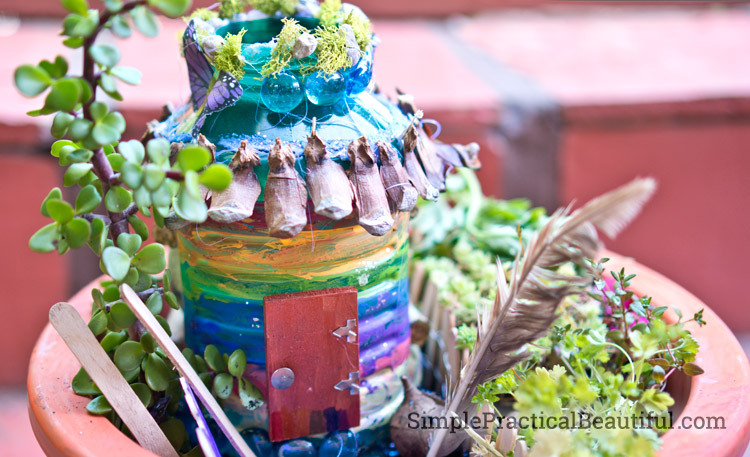 We love these whimsical fairy house designs because of their recycled materials! 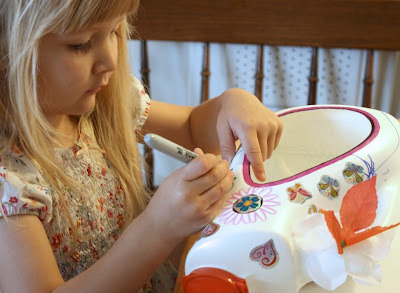 The best part about fairy houses is that they’re easy to customize using whatever materials you have around you. Keep in mind that fairies (and fairy-type Pokemon) like to live in houses that are made of things you can find in nature, like stones, grass, and pine cones. Your house should also have some windows, doors, and a roof! 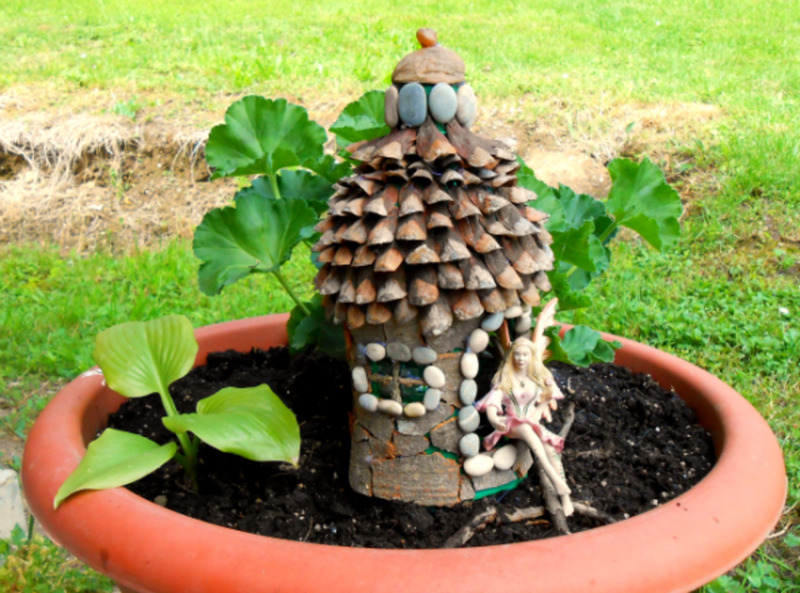 Check out these fairy houses to get your creative juices flowing. They’re all made with plastic bottles as bases! Pokemon gym fairy houses can be made out of anything! To make a fairy house with traditional materials, you can gather materials on a walk while you're hunting Magikarp. We love using old stones, fallen leaves, and bits of dried bark — and if you’re by a beach, make sure to grab some shells! If you want to paint your fairy house, you don’t need to gather much for the exterior — just gather some small materials, like twigs and interesting leaves, in order to decorate parts of the fairy house. Wash out your base. If you’re using a can, simply place it upside-down on your chosen foundation (like sheets of newspaper). If you’re using a plastic bottle, slice the base of your bottle in half using the crafting knife and scissors. You can even cut a window and doors into your bottle! Once you’ve got your materials, it’s easy to make your fairy house look like a true Poke-palace! If you or your child collect Pokemon trading cards, donate some of them (the extras, not the super special holographic ones) to decorate the fairy house. You can also try picking up Pokemon stickers, party supplies, and other crafts at your local dollar store. Paint: To make a perfect “Gym” sign, cut out a stencil for the letters “G,” “Y,” and “M” from construction paper, and paint over them on the front of the house. For a more handcrafted look, hand-painting the letters directly onto your base works well, too. 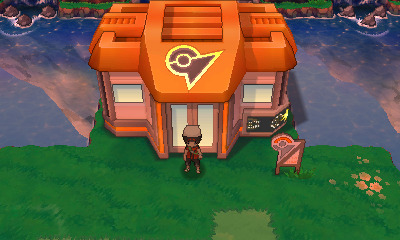 Alternately, use red, white, and black paint to make the exterior of your house look like a Pokeball, or paint the exterior to match your child’s favorite Pokemon! Walls: Glue trading cards or stickers to the walls of your house. Place a Pokemon figurine inside the bottle so it looks like the toy is staring out the window! Roof: Slice off the rounded top portion of a plastic bottle. Paint it like a Pokeball and glue it to the top of your base! Foundation: If you’re playing your Pokemon fairy house outside, set it on some grass and use the “Incense” option in Pokemon Go. You might find a Pokemon around (or on) your house! How would you decorate your Pokemon gym-inspired fairy house? Let us know in the comments! "Upcycle your old plastic bottles and turn them into Pokemon gyms!"